What many people do not realize when they type a header into a search box in Google or Firefox or one of the many search engines available to the average individual, is that the companies that are shown on that page are not there merely by accident. Some believe that the pages listed are listed alphabetically or by the size of the business or the presence of c ertain companies on the first page is paid for, and all of these assumptions are incorrect. The way a company gets there business or service listed on the search engine pages is by S.,E.O or search engine optimization. What this means is that by using certain key words and other indicators that the search engine recognizes as important will get the company ranked higher than other companies and give them a better spot in the pages. The reason this is so important is quite obvious, most people will not navigate away from the home page and will select a company from the ones listed on the top unless they are seeking a specific company. The art of S.E.O has created an entire industry devoted to getting a company ranked higher in order to garner more business. This practice has led to S.E.O hosting which essentially offers companies the opportunity to take advantage of the way that search engines rank and place companies in their search engines. When you have many sites that automatically link to your site, Google and other search engines will deem your site to be important and will give you a higher ranking which results in better placement in the search engine pages. 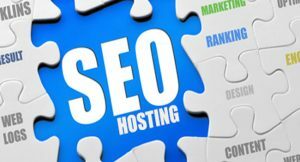 By using S.E.O hosting services, a company can get multiple different websites that utilize a different IP address to link to their website so that they can get a better ranking. By using the different IP address, the search engines believe that they are separate from the original address and will then give them a higher ranking based on the number of sites and the content that they are linking to. The companies that offer S.E.O hosting will ensure that the client has the opportunity to access a variety of C-Class addresses designed for the purpose of linking to the main site in order to get a better ranking from the search engines. Without using different addresses, the search engine will be able to see that they are owned by the same company and understand that the links are not genuine but put in place for ranking purposes only. The benefits of SEO hosting should be quite apparent from the above description. The way your site or company gets ranked is the most important thing with regard to the amount of traffic that will see your site. Quite obviously the closer you are to the first page on any of the search engines the better, and being on the first page can in many cases mean the difference between staying in the business or folding the tent and going home. As stated above, many studies have shown that few people will navigate away from the first page when searching for a product or service on the web, so it only goes to reason that being on the first page when a person searches for your type or service or product can be of massive importance, hence the reason for S.E.O hosting and for S.E.O as a whole. This is an abbreviated list, there are many more.